The BCB Student Life team held a De-Stress Fest on Wednesday, April 25th, to reduce anxiety on campus with some relaxing bonding activities, all while celebrating the spring weather. These activities included petting puppies, drinking pink lemonade, baking, decorating cookies, and barbecuing on the patio of the Student Centre. 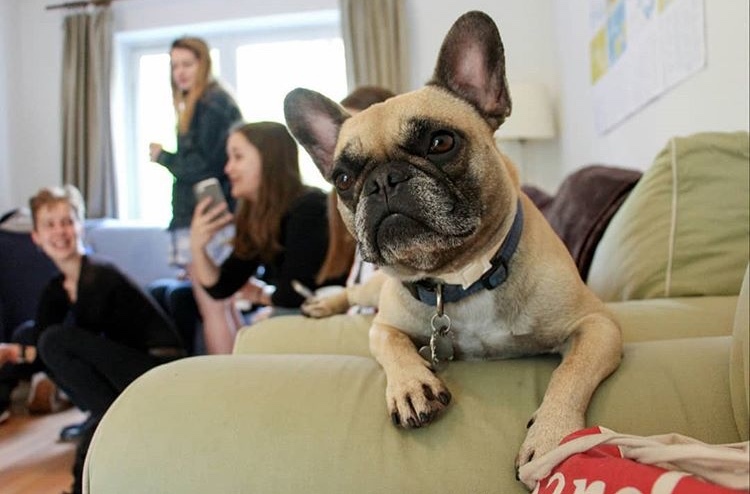 Six dogs were present at the De-Stress Fest. Ginto, an excitable dachshund, could be seen licking the ankles of anyone in the vicinity; Tico, the biggest and the youngest of the group, a boxer pup, kept trying to play ping-pong; Cookie, a pug; Fina, a mix of many breeds; and Amy, a King Charles spaniel took up space on the couch and were doted upon. 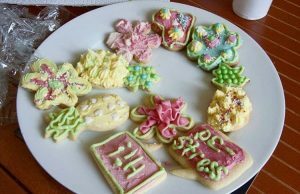 After lunch, the Student Life team set out trays of freshly-baked sugar cookies and allowed students to decorate. We were allowed to mix any colors into the vanilla icing and fill piping bags: Pastel pink, green, blue and yellow were most prominent. There were sprinkles and other candy to add on top. In the evening, the Student Life team set up a table on the patio with meat and assorted vegetables to be grilled on the barbecue. Some students played ping-pong while everyone else sat around in the grass. Though it was nearly eight in the evening when the event began to break up, it was still light out. “I was sad that I had to go home early, before the barbecue began,” Tico, the resident boxer, said to me the next day. “The only thing I would complain about is that none of the dogs were allowed to eat any raw meat. But I hope everyone else enjoyed it.” Even without the talkative company of the six dogs, BCB students had a great time at the barbecue. With the success of this De-Stress Fest, I hope that the Student Life team will continue the tradition for years to come. Thank you to everyone who worked to put this event on its feet!